Rediscover the milestones of 1968 through timeless photos that testify to these moments of considerable consequence. The events that made 1968 famous around the world triggered dramatic upheavals in our society. A few images, which were a testimony to these times of far-reaching change, are a lasting testimony of these memorable events. At the time, the publication of a photograph in Time, Life, Newsweek, or Paris-Match could bring about a change in a photographer’s career. The deflagration in 1968 highlighted the fires in Vietnam, the tears in Prague, the agony of Biafra, the blood of Martin Luther King Jr., the dug up paving stones in Paris, and the determination of African-American athletes in Mexico. If history is our heritage, the photographs discussed in 1968 are its landmarks. By talking to photography professionals, historians, sociologists, or people who were involved in the historic events of the time, 1968, Photographic Acts revisits timeless photographs. The film’s interviewees discuss the historical links between the photographs which, as they tell stories of war, racism, social protest and injustice, portray the interwoven histories of our era. 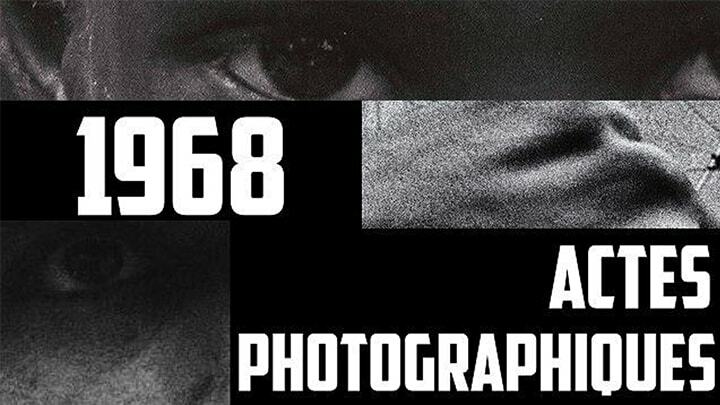 Join the BDC for a screening of 1968– Photographic Acts followed by a discussion with the film's director Auberi Edler, and film subject and Director of Photography at The Washington Post, MaryAnne Golon. Moderated by BDC Co-Founder and Executive Director, Michael Kamber. AUBERI EDLER is a documentary filmmaker and journalist, based in Paris. She has written and directed multiple films and news features for European television channels. Edler has been a Senior Correspondent, Editor-in-Chief, New York City Bureau Chief and, for a few years, co-director of the French public television news team. Elsewhere, she has been a war correspondent covering many conflicts around the globe, from Afghanistan to El Salvador, Bosnia to Iraq. Edler is currently working on a new film and consulting for with various international media groups that broadcast news and documentary programming to television stations in Africa, the Middle East, Asia and Eastern Europe. MARYANNE GOLON is director of photography at The Washington Post and was Time magazine's director of photography until 2008. She also co-managed the international news weekly’s photography department for more than 15 years, winning scores of awards. She has served as both jury member and chair for the World Press Photo Contest, in 2008 and 2009 respectively.